Pioneers in the industry, we offer glazed doors from India. Owing to our vast industrial experience in this domain, we are devotedly engaged in offering wide assortment of Glazed Doors. The offered doors are designed with the help of premium quality material and sophisticated tools under the guidance of skilled professionals. 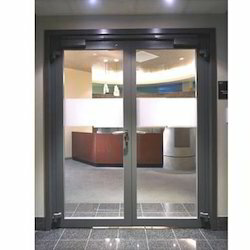 We offer these doors in various sizes, designs and shapes for our clients to choose from. Further, the offered doors are thoroughly tested on various stages by our skilled professionals assuring their perfect range to clients.